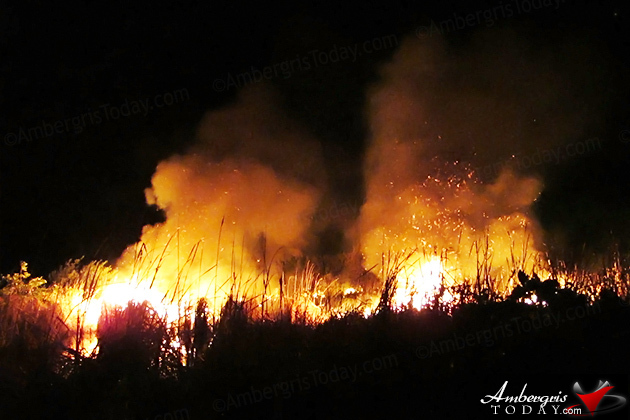 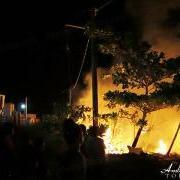 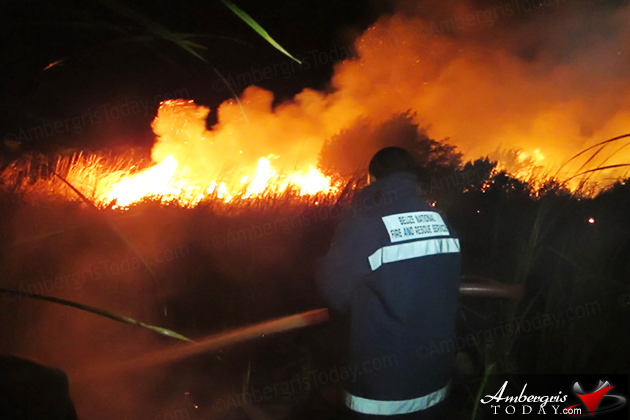 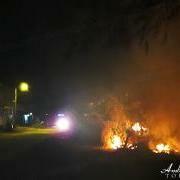 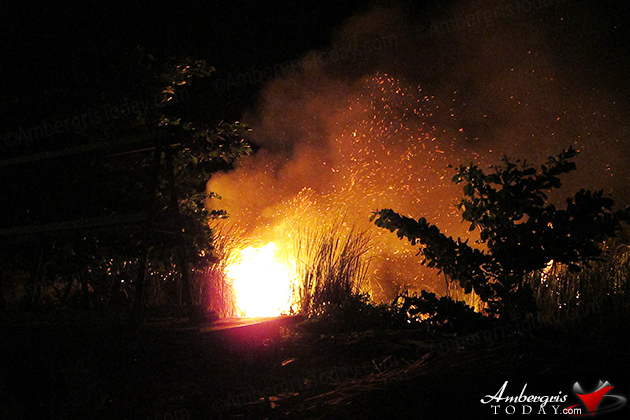 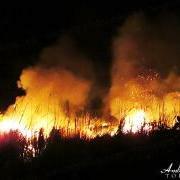 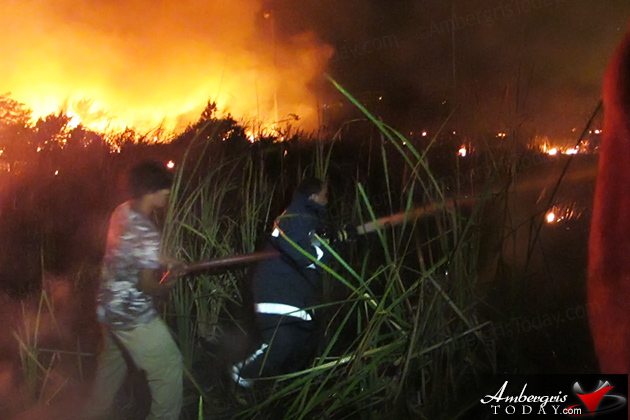 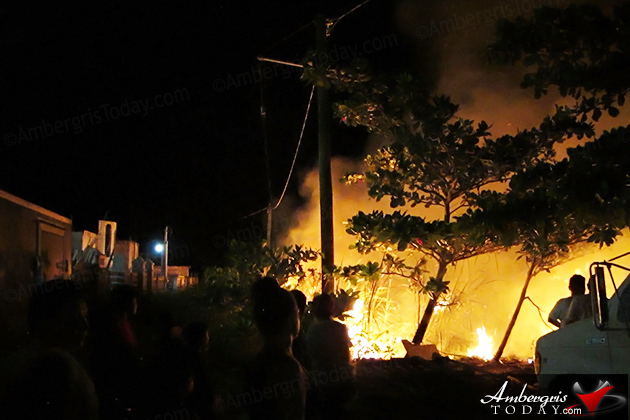 A small brush fire that was ignited around 7:30p.m. 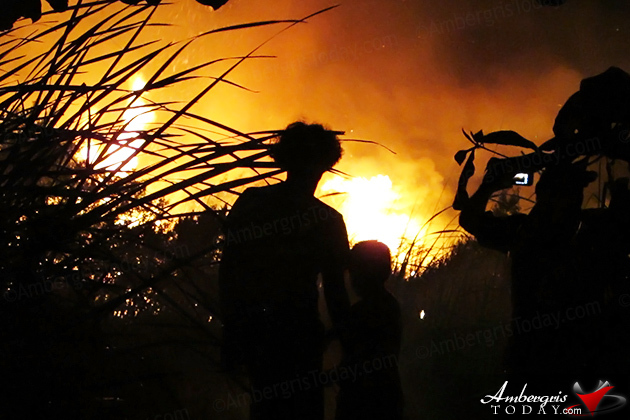 in the San Pablo Area on Monday, June 30, 2014, did not seem to be a threat at first, but by the time the San Pedro Fire Department arrived and set up their equipment, residents in the area had grown alarmed. 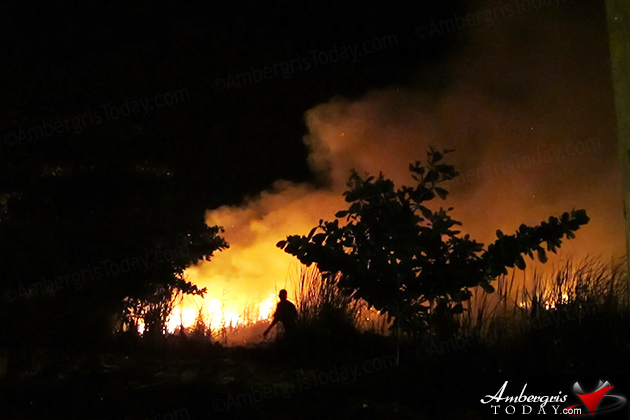 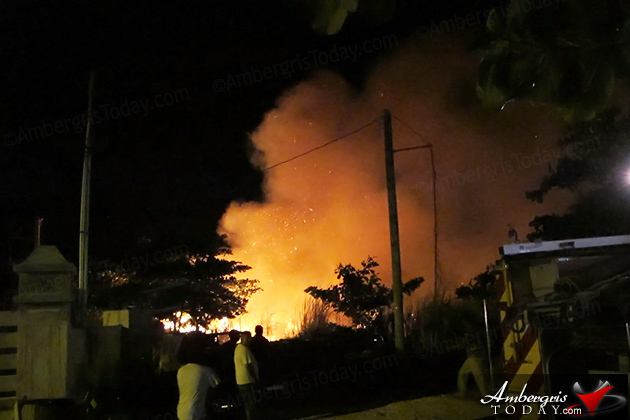 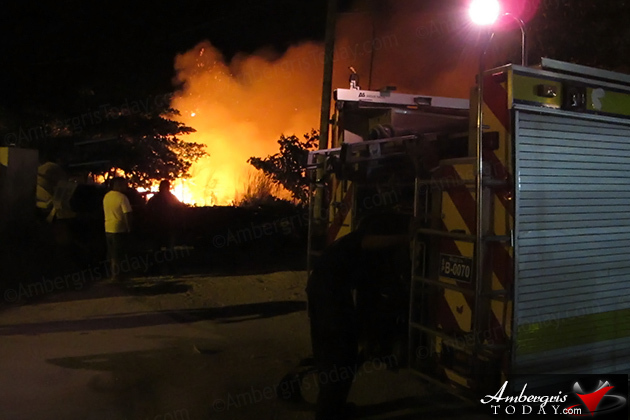 The brush fire started in an empty lot adjacent to the Ambergris Stadium and behind a few homes at the entrance of the San Pablo Area. 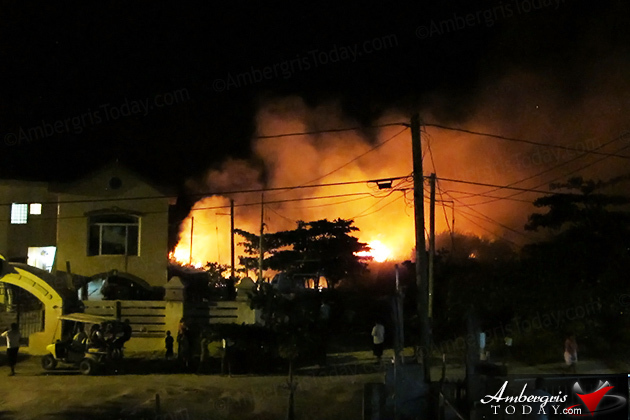 At first it did not seem to pose any threat to nearby buildings but after a few minutes the fire grew bigger and started to alarm the neighborhood residents. 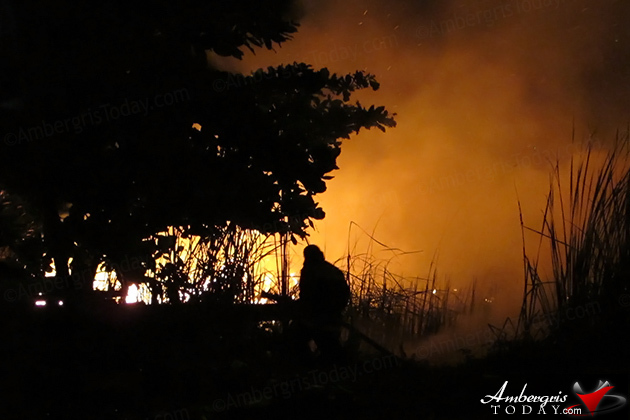 The fire truck arrived about 30 minutes after the call was made to the department, by that time the fire had grown substantially. 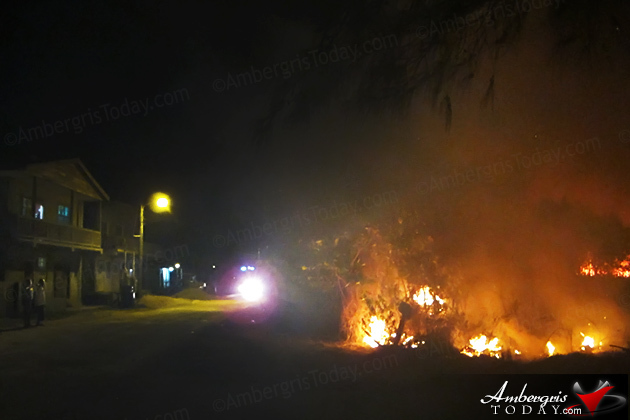 Lucky for the surrounding neighborhood, the fire started to die down when it ran out of foliage in the empty lot and the flames could not make it across the street to nearby buildings. 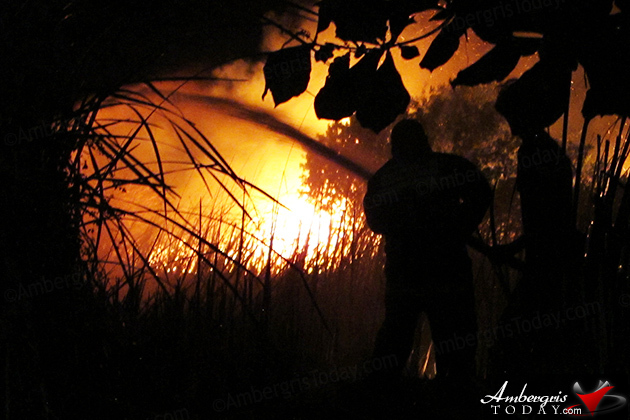 The San Pedro Fire Department was able to control the blaze and extinguish it shortly. 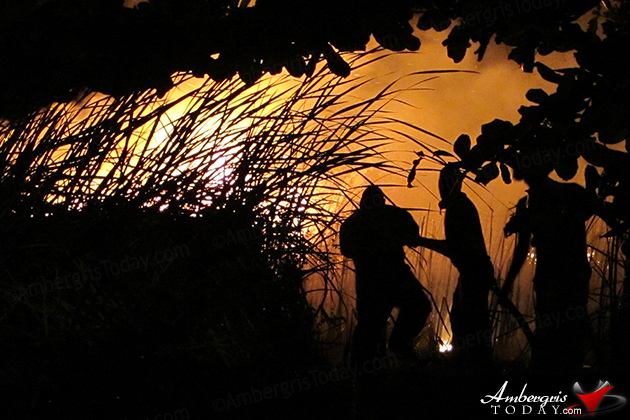 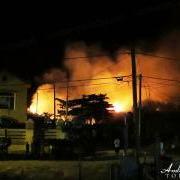 The origin of the fire is not yet known and the department continues its investigation.